OH MY, who is that handsome Dude with sand in his beard? Duncan ~ you've got some beach on your snooter! 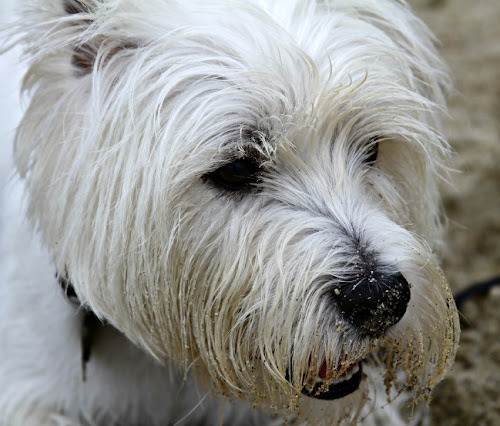 Somedoggy's been digging in the sand! You've been having more fun at the beach! Good for you, Duncan! That is a good photo of you! Very action oriented with the sand! Looks like you been doing some digging, I like it!